While most people associate grilling with thick cuts of steak or hamburgers, but unlike meats, some vegetables and other foods require low heat to cook. BBQ warming racks are subject to similar demands as the rest of the barbeque and often become rusty or worn down. Buying a new replacement BBQ warming rack can help you maintain the advantages that these racks provide. The BBQ Depot has a wide variety of different racks to fit both your grill and grilling needs. Browse our selection, or get more information below. What Grill Warming Racks are Used For? BBQ warming racks often hang from the inside of the BBQ hood. When the hood closes, the warming racks hang about 5 inches above the BBQ grill's heat source, keeping the food warm while remaining high enough above the flame to prevent the food from burning. Most people use warming racks to keep meat warm after it is done cooking or to toast buns. In this way, the racks serve an important purpose when barbecuing for large parties, but there are many other ways to use a BBQ warming rack. For example, you can wrap green beans or potatoes in aluminum foil and place them on the warming rack to slow roast. Try this with a little butter, garlic or any other spice you enjoy to add great flavor to your side dish. Other delicious foods and sides such as garlic bread can also be roasted on warming racks. The possibilities are endless. Warming racks are constantly exposed to heat and meat drippings much like grill grates. They need to be cleaned often and eventually wear down and need to be replaced. A damaged BBQ warming rack can begin to rust, which adds an undesirable dirt and metal taste to your food, and in extreme cases, can be a health hazard. If your warming rack is rusting or falling out of its holders, it is time to buy a new rack. You may also consider getting a replacement grill rack if you never had a warming rack for your grill, but your grill still has the capabilities to hold a rack.  The BBQ Depot carries many grill parts, including a wide variety of stainless steel and chrome racks. We only buy from manufacturers who use high quality and durable materials, and because we buy directly from the manufacturer, you can rest assured that our products are of the highest quality. It also means you can get the grill parts you need for your Twin Eagles grill, Weber grill and Alfresco grill. We offer free shipping for orders over $99 within the continental United States. Visit our website for to view our selection today!